D5300 is Nikon’s latest buzz in the market. With its new DSLR, Nikon has come out with best of class features in a compact design. The model has been launched just after one year of its predecessor D5200, which has now become a trend of the company with D7000-D7100 and D600-D610. Although, Nikon D5300 wasn’t launched to replace D5200, but it has clearly become a preferred take among mid-range DSLR line-up. Even though, the D5300 shares several features with D5200, but the 24.3MP APS-C CMOS sensor is actually a new development in this line. The model also features anti-alias filter, which grantees delivering much clear and sharp images, depending upon the shooting locations, of courses! D5300 also sports 39-point Multi-CAM 4800DX focusing system, which is an inherited feature and somewhat quite successful among the user group. 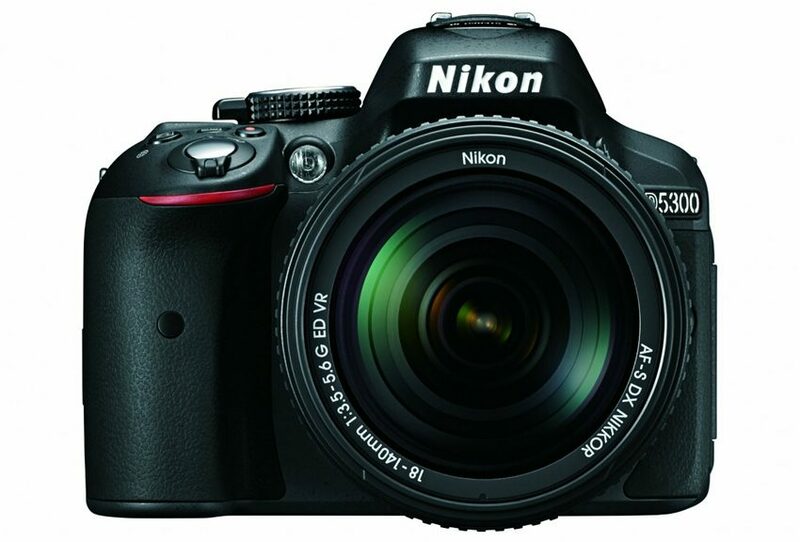 The Nikon D5300 sports a clear and bright 3.2inch LCD screen. Despite of its compact size, the camera offers the flexibility of good viewing angles. You can easily tilt the screen for better viewing angles at the time of shooting. The camera has an improved grip, and the Body is made up in monologue design. It looks stylish, solid and well built with number of amazing curves. As far as battery life and speed are concerned, the Nikon D5300 is equipped with EN-EL14a battery that is capable of delivering approximately over 5000 shots in one charge. However, the continuous shooting speed is comparatively less with 5 fps rate. On the other hand, the shutter response is quite impressive, and so the switch on time. In terms of performance, the camera is capable of producing excellent images with efficient Color reproduction and good exposure. Best part is that the portrait photo with Flash does not show any signs of red-eye, offering amazing detail. There is a wide array of options given for capturing shots in a variety of scenarios, including a Night Vision effect mode. The Nikon D5300 supports the Nikon Wireless Mobile Utility app which is available on Android or iOS app store. This app lets you browse and share photos with other system. You can also access or control your camera remotely with this amazing app. Auto white balance and D-lighting are another additional that improve photos, while retaining the details of highlights and shadows. In short, it can be said that the D5300 by Nikon has outperformed the competition with built in GPS, Wi-Fi, 3.2 inch large screen, improved battery life and noise performance. The Nikon D5300 is a compact and stylish DSLR camera that provides excellent image quality, with useful features including 24.2 megapixel sensor and no OLPF. The camera is built to take detailed and sharp photos. In fact, you can get best out of the camera, if you are ready to invest in additional lenses.